Question & Answer (Q&A) websites are a great way to enhance the engagement with your visitors. Such websites contribute to increasing your online credibility and also play a role in enhancing search engine rankings. One of the first and most important things to do when starting your WordPress website or blog is choosing the appropriate WordPress theme to fit your needs. The first thing that your website visitors will notice is the design of your website and they say, “You never get a second chance to make a first impression”. Therefore choosing the right theme is an important decision. The fact that there are literally thousands of themes in all shapes, colors and layout can make the process even more frustrating. There are several things to consider when making decision for the image of your blog or website and several questions to ask yourself before choosing the theme. Should I pay for a WordPress Theme? Either you can opt for a free theme or a premium paid theme. The third option is to choose a custom theme specifically developed for your website by WordPress designers. Depending on the reputation of your website you should decide what kind of investment it requires. Do I have enough layout choices? Think about the navigation that you need. Think about your content and what kind of information you want to display on your pages. You should clarify your idea about the layout of the webpages and find the theme that gives you everything you need. What I need to customize the theme? Even if you find your “dream” theme you will always need something customized. Consider the resources that you have for customization. If you don’t have the knowledge or time to spend on changing your theme you may always get a professional help. Don’t spend too much time digging for YOUR theme. We can help you design and customize it! Now let us help you and get your website out there! The WordPress theme is responsible for the visual look and feel of your blog/website. Choosing the right theme is important as it plays a critical role in attracting visitors to your blog and fuels their interest to actually read content. In WordPress, it is possible to modify the existing themes as per your preference, to change the look of your blog without affecting the informational content. The need for theme modification arises, if you are satisfied with the overall theme and don’t want a completely new one. But still you wish to tweak certain areas of the theme so it meets the requirements of your blog better. For example if your original theme has a header image, through theme modification, you can replace that image with a personal photograph that adds a personal touch to your blog. Even the background color on the theme can be changed. Another popular area of theme modification is the theme sidebar which you can customize to create more widgets to display additional information. Theme modification also helps you to configure how your pages will appear and make it easier to subscribe to RSS feeds. If you cannot be bothered with the technical details that go into theme modifications, do not worry. We will modify your themes as per your requirements and also offer suggestions on modifications that will suit your needs in the best possible manner. 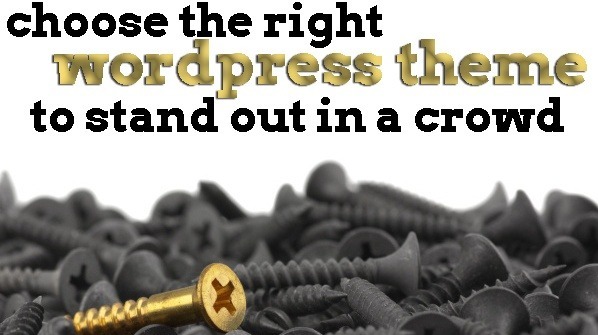 When you are using WordPress for your weblog, the theme determines the appearance of your blog. Essentially it is a collection of files called template files that help you present your blog in a visually appealing manner. The themes can be modified without affecting the informational content on your blog. You can configure as many or as few templates on one theme to achieve the desired effect for your website. We are here to help you choose just the right theme that complements your content and increases the overall appeal of your blog, an important factor to drive traffic. Our expert theme development team creates themes with perfect codes so that they offer the best results to you. If attention is not paid to correct coding, it can result in issues like your plugins not responding properly. All themes we develop support latest WordPress features like widgets, tags, etc. so that there are no compatibility issues when your website needs to use them some time in the future.